A happy and healthy life requires confidence, but a lot of people struggle to master this essential ingredient. Some of them spend much of their time worrying about various aspects of themselves and the world around them, while others look outside themselves for ways to feel better. What these people have yet to realise is that confidence ultimately comes from within. Simply put, you’re the only one who truly holds the power to build your confidence up. You can build a better world for yourself and others if your self-confidence thrives. How do you achieve this? 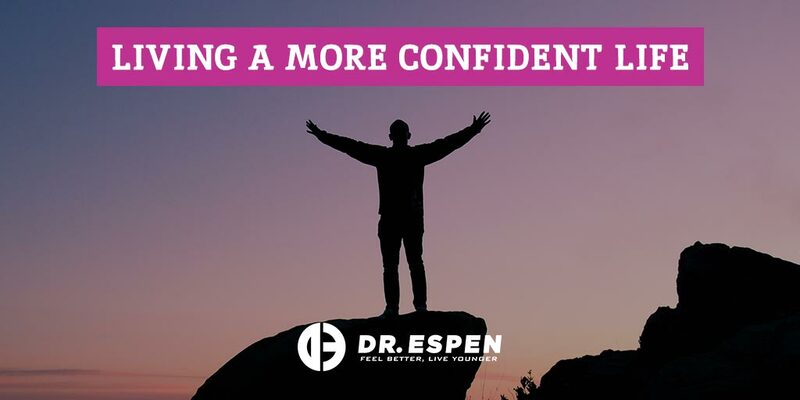 What does it take to live a more confident life? The short answer – you must have a deeper understanding of yourself. Know your strengths and limitations. It takes time to learn who you are. For most people, the hardest part is distinguishing which aspects are genuine, and which ones are driven by external factors. A good way to overcome this obstacle is to determine your strengths and weaknesses, and compare those with the things you enjoy doing. It’s a good idea to list the activities you’re good at and those that you would like to be better at. Your confidence can grow if you work on your strengths and limitations every single day, and make room for growth. You are good at a lot of things other people struggle with, and vice versa. You simply need to trust your capabilities and learn from your mistakes. Trust your own judgement and let it guide you to a path of self-confidence. If you become the target of criticism, use that as an opportunity to improve. Confidence is the byproduct of success. But to succeed, you also need a good amount of self-assurance. Reinforce your confidence by envisioning your success. This might seem like a strange piece of advice, but it’s evidently more beneficial than the alternative, which is assuming the worst in every situation. When you find yourself convinced that something will go wrong, the best thing to do is to take a step back, assess your situation, and envision a successful outcome. While expecting the worst does seem like a smart way to shirk disappointment if you fail, pessimism will only take a toll on your performance and ultimately hinder your success. Never let yourself be burdened by a fear of the unknown. Never let fears and inhibitions stop you from embracing new learning opportunities. Try to see every trying situation from a different perspective, and challenge yourself to welcome the unknown and the unknowable. Strive to be a risk-taker and let your confidence grow. Instead of drawing satisfaction from doing the same thing every day, go out of your comfort zone and take advantage of every opportunity to learn and grow. Don’t be afraid to make mistakes – use them as an opportunity to become better than you are now. For some people, negative feedback seems a lot easier than to accept than positive reinforcement. They find it difficult to take a compliment and just assume that people are just being nice to them. While this may be true at times, but it’s important to realise that each and every one of us earns the praise we receive. When you’re receptive to positive recognition and reinforcement, you can turn that into confidence. You don’t need to look outside yourself to find something that will make you feel good on the inside. Find a source of inspiration within yourself. Your confidence will develop with practice. Never allow self-doubt to brew in your head; ward off negativity by striving to be confident. Don’t ever lose sight of the fact that you are unique and capable of greatness. Always trust yourself. That I think is the first step to everything you do. If you do not trust yourself, who will?